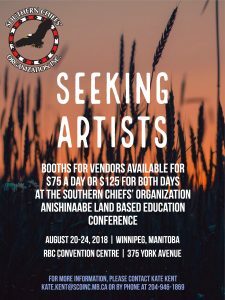 Anishinaabe Nations Land Based Education Conference – Southern Chiefs' Organization Inc.
Southern Chiefs’ Organization is proud to host the Anishinaabe Land-Based Education Conference on August 20-24, 2018. 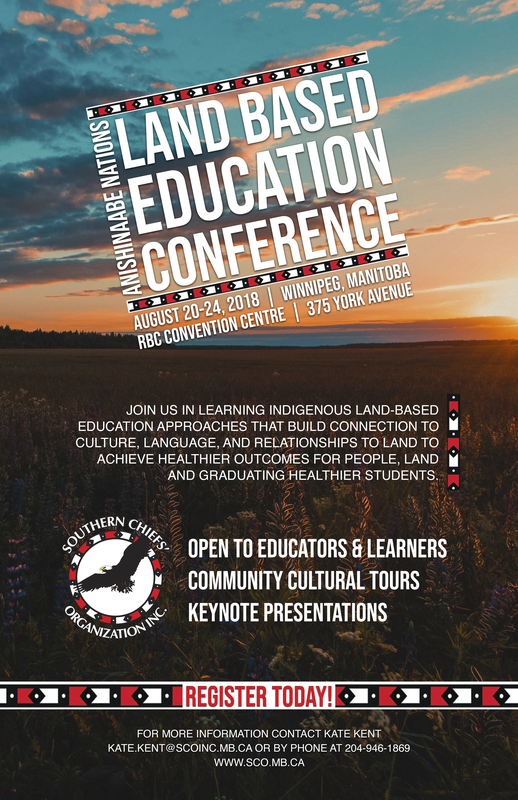 Land-based education approaches are illuminating Indigenous ways of teaching and learning demonstrating what happens when you let Indigenous people lead in curriculum design and curriculum activities that are connected to culture, language, relationships to land. 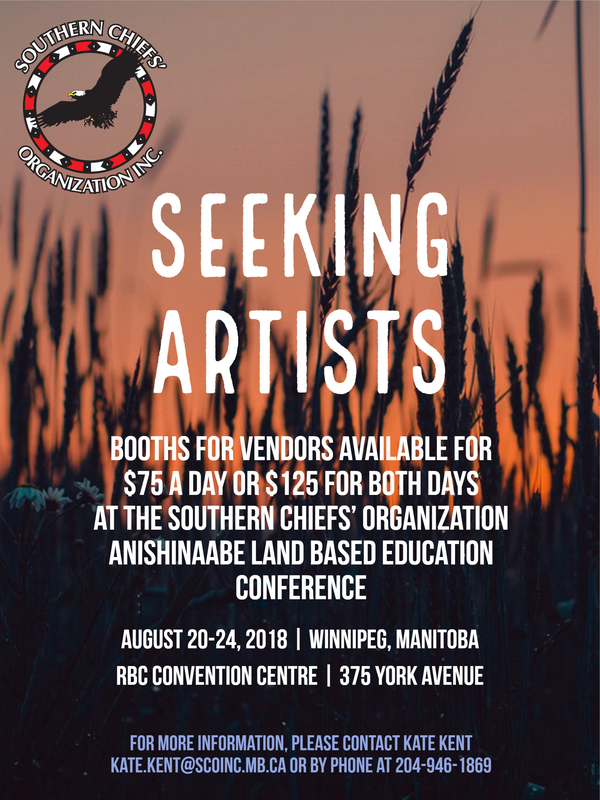 We invite people from all walks of life in all areas of education to participate in this exciting event which will include two full days of workshops and international keynote speakers and three days traveling on excursions to learn on the land. This conference serves to re-engage peoples with their natural world and connect the dots between various sectors of our society in order to achieve healthier outcomes for people, land and all living beings. In addition to graduating healthier students, we aim to learn in a way that sustains all life including, human, plants, animal, water and Mother Earth. Please fill out the Registration Form and send by email to kate.kent@scoinc.mb.ca or by fax at 204-946-1871. To register please fill out the registration form and email to Kate! Please note: booths are only available for Monday, August 20 and Friday, August 24, 2018.